Craig M. Cousins is a partner, who has practiced at Leake & Andersson since 1997 after a judicial clerkship in the 24th Judicial District Court for the Parish of Jefferson. 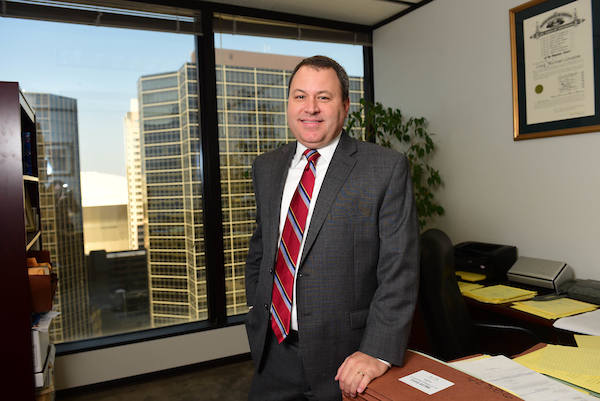 Craig began his career working in a business reorganization and bankruptcy practice. He maintains a practice in the areas of transportation and automobile litigation, commercial and retail litigation, insurance defense, premises liability, casualty and bankruptcy. He has tried cases in both State and Federal Courts and arbitration forums. Craig is a life long resident of New Orleans, who graduated from Tulane University in 1990 and Tulane Law School in 1993. He is admitted to practice in all Louisiana State and Federal District Courts and the United States Fifth Circuit Court of Appeals. He is a member of Louisiana, New Orleans and Jefferson Bar Associations, as well as the Louisiana Association of Defense Counsel and New Orleans Association of Defense Counsel.